A skunk, you ask? Why, yes. One of the best pets I ever owned was a rescued skunk named Precious. He was brought to me as an orphaned baby. This was an area with no vets who specialized in exotics, so Precious was never de-skunked. It wasn't necessary anyhow. I owned him for several years, and he only sprayed a few times. Never me. He aimed for strangers who thought it was funny to pester him. Some people say skunks are like cats, but they aren't. They aren't like any other type of pet. Precious loved to be held and petted, but he didn't impose the same rules as a cat. He didn't bite or scratch, and he wasn't destructive. In fact, he was pretty lazy. He liked to sleep during the day, then groom himself when he woke. He liked to explore and follow me around. I don't necessarily agree with owning skunks that are bred as pets, however, if you have the chance to adopt a rescue, they can be very rewarding. They can be kept indoors or outdoors, or both. They litter box train, harness train, and will even let you groom them. They cannot help but emit a bit of skunkiness at times. This is nowhere near as potent as when they spray intentionally. It is more like a faint odor in their fur or when they get wet. A good way to combat that with Precious was to comb baking soda or powdered pet shampoo through their hair. Since he loved being brushed, this was an enjoyable part of the day for us both. 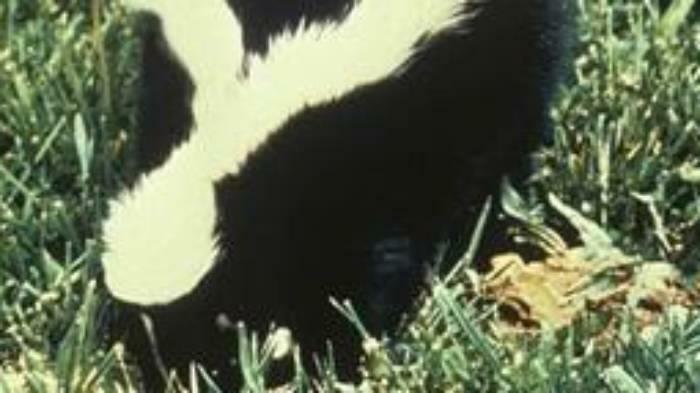 As far as habitat, if you keep a skunk indoors, they pretty much live like any cat or dog. They don't need a cage. Since he wasn't de-scented, we kept Precious outdoors. This meant a large cage, with a wooden hutch, plenty of hay for burrowing, a fresh water supply, and a place for his food. Whenever he was awake though, he was out so that he could exercise, play and explore. The downside of owning a skunk is that they can be jittery and easily startled. Precious would tolerate everyone in the family that he saw daily, but only let me handle him. He could occasionally be aggressive with strangers. This is a good reason why an indoor skunk should be de-scented! If I had to choose between a dog or a cat, I would choose a skunk. Precious was as clean as a cat and as loyal as a dog. He was also quiet, intelligent, and easy to care for.